Sail from Mac to Beaver Island this year for the 3rd Annual Beaver Island Mac Party on July 17th. Make Beaver your first destination port on your delivery home. America’s Emerald Isle will be the most memorable part of your sail. Last year more than 80 boats joined in the fun, and this year will be even better. Join us at the Paradise Bay Municipal Dock for a beer sampling party and live music from 4 to 7. 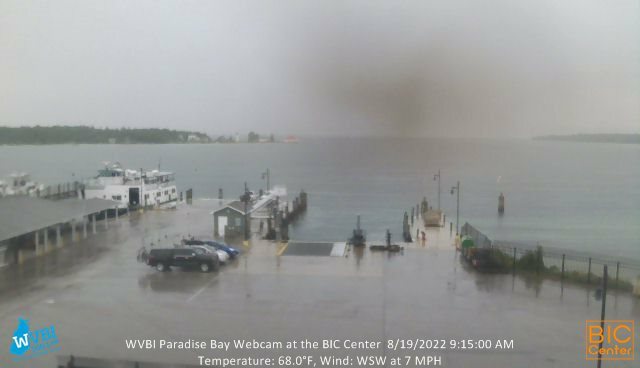 Book a slip in advance at the Beaver Island Municipal Marina in the Paradise Bay Harbor. Reserve online here or call 1-231-448-2252. If the docks are full, you can drop a hook and use tender service to pick you up and drop you off. After the party at the dock, join us for a special Mac Race Dinner at the The Circle M. Located in an old stone Rectory, the Circle M is an island favorite renowned for its great food and atmosphere. Free transportation will be provided to the Circle M.
Don’t be in a rush to get home! Your weekend can continue with a lot more adventure. New this year is the Beaver Island Water Trail. Find more information about this marked route around the island at beaverislandwatertrail.org. There are also marked bike, hiking and birding trails on the island, beautiful beaches and lots of solitude or camaraderie from folks who enjoy the glories of this mystical island refuge in the upper reaches of Lake Michigan. Beaver Island is a great launching pad for the delivery home. If it’s blowing out of the southwest, you can head over to the UP/Wisconsin lee shore or, make the better choice and enjoy waiting it out on America’s Emerald Isle.